By using the 64 T-Adapter from Meade in combination with your telescope, you can take photos of celestial bodies with your digital SLR camera. The T-Adapter is suitable for the ETX-90, ETX-105 and ETX-125 models from Meade. You attach the adapter to the photo terminal on the back of the ETX telescope. To effectively use the T-Adapter for astrophotography, you also need a T2 ring. Make sure you have the right T2 ring for the right camera brand. 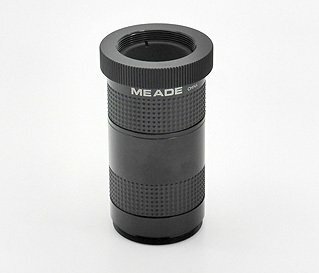 Write a review By sharing your experience with the Meade # 64 T2-Ring the ETX-90 and ETX-125, you can help others (perhaps still doubting customers) with making a good choice.